That's clearly PR-speak, but the Provo is a sporting package, and with a 204PS 1.6-litre Turbo GDi powering it - as well as the concept's smart-4WD-hybrid technology, it's going to be quick. The electric motor, which delivers an additional 44PS can also power the rear wheels only, making for electric-only motion. The Provo also has frameless side-windows and 19-inch milled aluminium wheels. Inside, it combined quilted leather with a wide-open cabin that does away with a centre console. It also sports lashings of chrome detailing, and a very Audi-like suede-trimmed flat-bottomed steering wheel. The transmission selector and starter button are housed under the dash in the centre. The Provo is clearly more than a concept, and should reach production minus a few of its more fanciful details. 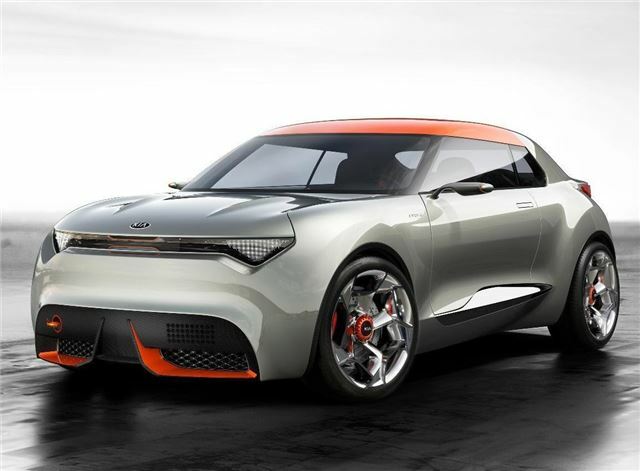 Kia says that the arrival later this summer of the new Kia pro_cee’d GT makes it clear that the company wants to deliver more performance-focused small cars. Expect to see it in showrooms within a couple of years.